Handy accessories when camping & caravanning. Using the Croc Bin you can keep your campsite rubbish under control and the flies at bay! The Croc Bin can be attached to the side of a van/trailer or around a standard tent pole – both brackets are included. Takes standard shopping or kitchen sized bags. A quick and easy way to protect your canvas or mesh from damage, simply thread the bungy cord through the wall eyelet and peg the other end to the ground, this will provide constant tension to the wall while also allowing movement for wind gusts. The ball bungy can also be used for wrapping sleeping bags, swags, mattress and other items. The pole cap with Spring helps support the tarp and prevent water pooling without the need of creating another eyelet for a spigot. The spring allows the tarp to move up and down with the wind. Therefore giving longer tarp life by reducing stress on the stitches and welds. 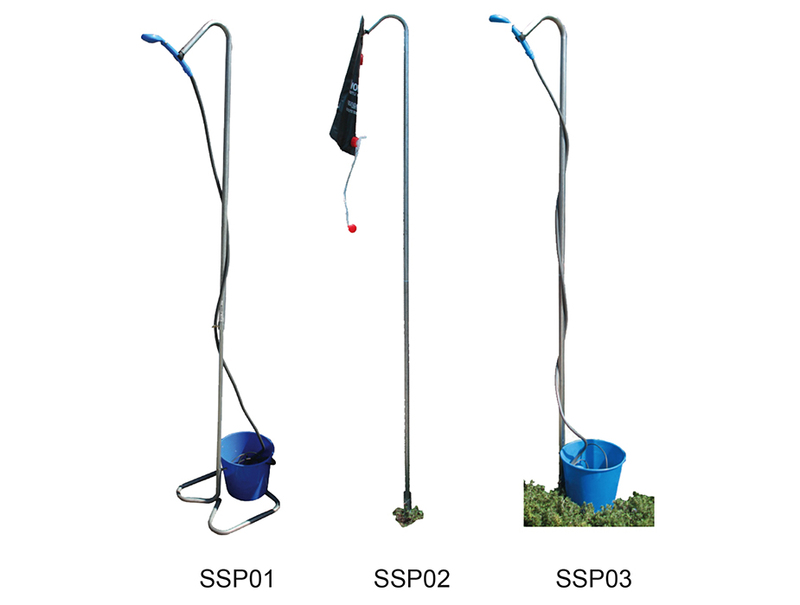 Sick of your poles sinking into the ground or slipping? Pole plates will fix this. The fly spacer is used to separate the tarp from the tent when using tent poles with 150mm long spigot allowing air ow between them. This helps keep the tent cool and provides added protection from the weather.  Designed and registered by SUPA-PEG in 2003. 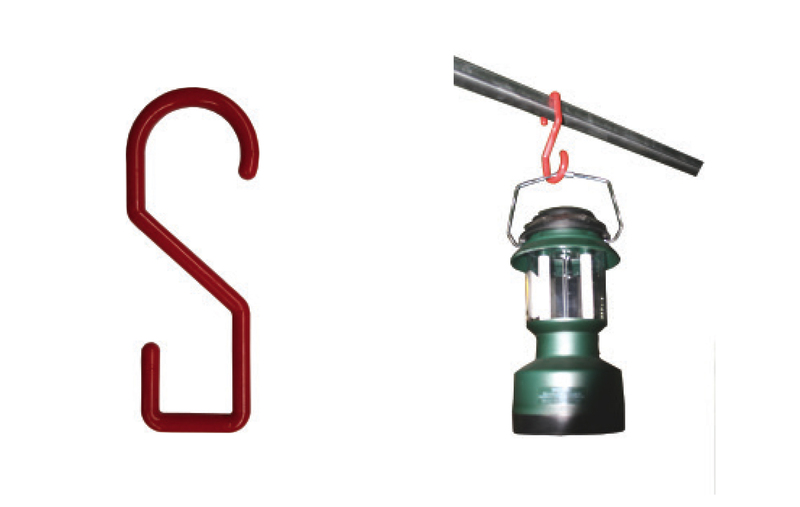 This pole hanger is ideal for hanging lanterns, clothing and many other items. 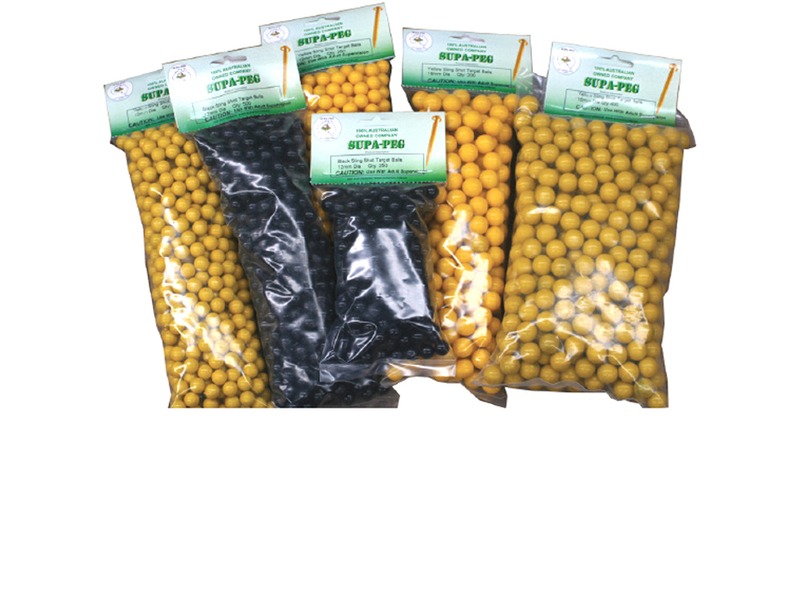 Made from UV treated High impact plastic and yellow zinc Hi-Tensile wire. Folds away for storage and safety. Suits tube sizes 19,22.2 & 25.4mm. The Supa Hook was designed for the camper to be able to put away all those little “Nick-Knacks”. Made from durable High impact plastic, it is able to support up to 5KG of weight. One end is de- signed for round tube and the other end for square. Uses would be for hanging Electric Lanterns only, Cooking Utensils, Fishing Rods, Electric Work Light, Clothing, Towels and other odds and ends. Also available in packs of 2 and 5. Keep things neat and tidy around the camp site. Ideal for hanging on spreaders in and around the kitchen area of the camp site. Ideal for Tents, Awning, Annexes, Gazebo’s, wardrobes and more. Supplied with round anodised aluminium cross bar, 2 plastic support hooks and 8 plastic hanger hooks. Easily removes tent pegs from difficult terrain and also doubles as a lid lifter for camp ovens. It has a securely welded handle and is made from hi-tensile galvanised wire. 450mm makes for easy lifting and less bending. 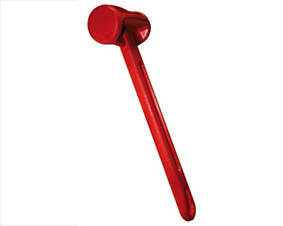 Made from glass filled Standard grade plastic, these hammers are ideal for hammering plastic tent pegs. Less likely to damage the tent peg if it is a miss hit. Also doubles as a peg remover. Tripping over guy ropes at night is a regular occurrence when camping. Our product will help eliminate this problem. They are rechargeable and can glow up to 8 hours (depending on the ambient light available). Just slide it onto the rope and position on the peg or above the rope runner. The Supa Shower Stand suits shower tents or stand alone use. Adjustable, can be dismantled into two pieces for easy storage. Made from strong galvanised tube and using a yellow zinc plated T-Nut, it’s sturdy and won’t rust. The self standing shower stand is also supplied with 2 x 225mm x 6.3mm galvanised tent pegs to hold the stand firmly to the ground. Ideal for use with most 12volt shower heads. The Spear shower is available for hanging bags or shower heads. All showers neatly at pack. Repair anywhere with our 33 foot roll. This bulk roll of repair tape will give you more than enough repair patches. One roll will save you thousands in repairs. Use it to repair your truck curtain, jumping castle, bounce house, inflatable boat, pool lining, tent, sail, kite and more. Our fixmytear rolls measure in at 10.5m x 7.6cm (33ft x 3 inches). fixmytear is made from thermoplastic polyurethane, which has extremely high tensile strength, flexibility and abrasion resistance. The layer of glue adhesive is activated when pressure is applied, forming a reliable cohesion between surfaces. fixmytear exceeds the requirements in textile applications, specifically in vinyl and vinyl coated products such as bounce houses, inflatables, boats, truck curtains, sails, kite surfing equipment, rubber waders, tents and more. Fixmytear is also applicable to canvas, plastics, sails, tents and rubbers (wetsuits). Grip your tarp from anywhere that you need. Sold with a 25mm webbing and a strong D-Ring double stitched to attach your guy rope. The Tarp Support Bar is used to increase the height of tarps and therefore ideal for preventing them from pooling water. The spring at the base of the tarp support enables constant upward pressure to be applied to the tarp that can adapt to shrinkage and expansion of the material during the day as the temperature changes. 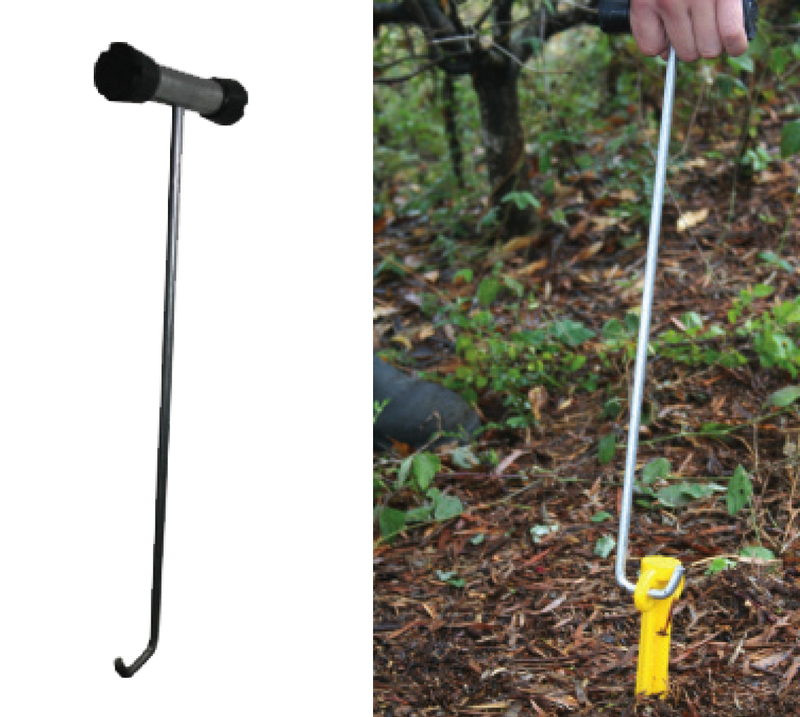 It will suit any tent pole with a 8mm spigot. The twin cross tarp support bar is twice as strong and can cover a larger surface area. Folds away at for easy packing.